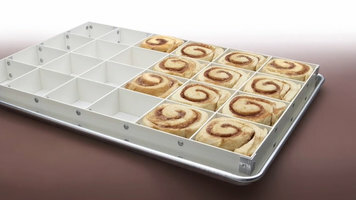 Complement your colorful confectionery creations and beautifully baked goods with this MFG Tray 334002-1053 18" x 12" premium bakery display tray. 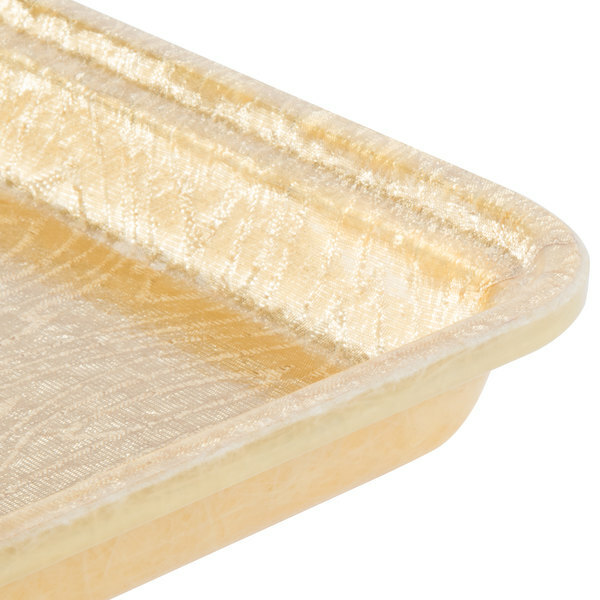 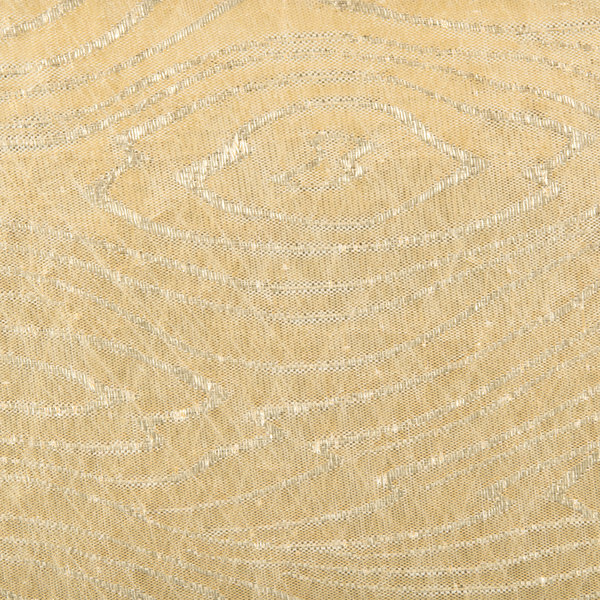 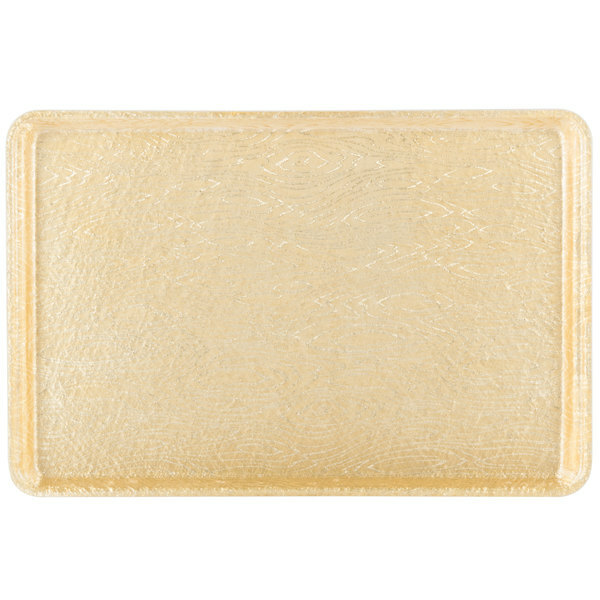 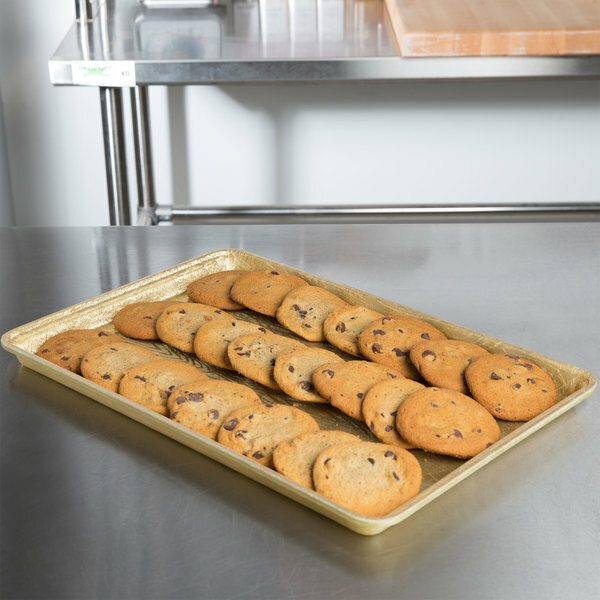 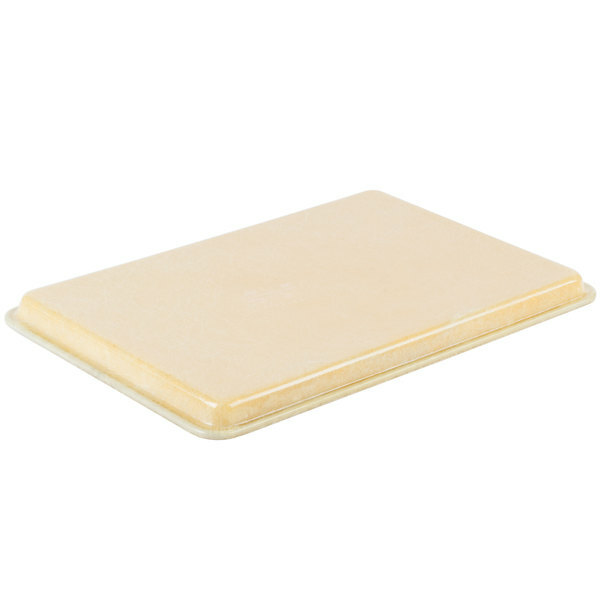 The tray's shimmering gold finish and intricate wood grain design is sure to capture customer attention at your market, bakery, or candy shop. 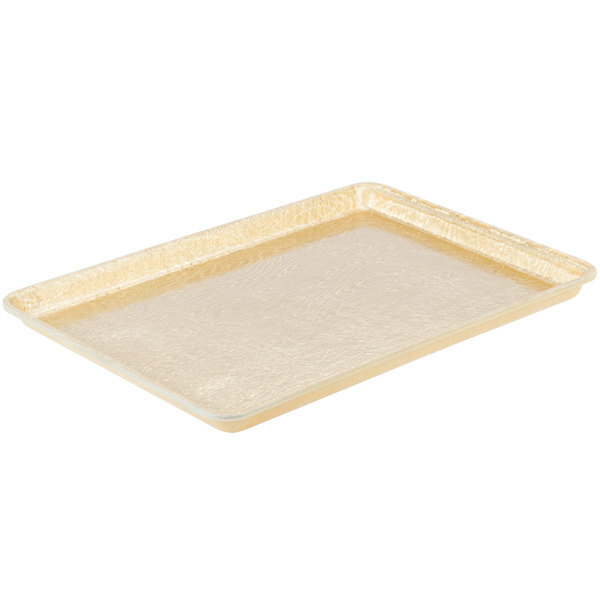 Features radial edges and rounded corners for safe and easy handling, easy-clean surface and smooth, stain-resistant design that resists chipping and scratching.